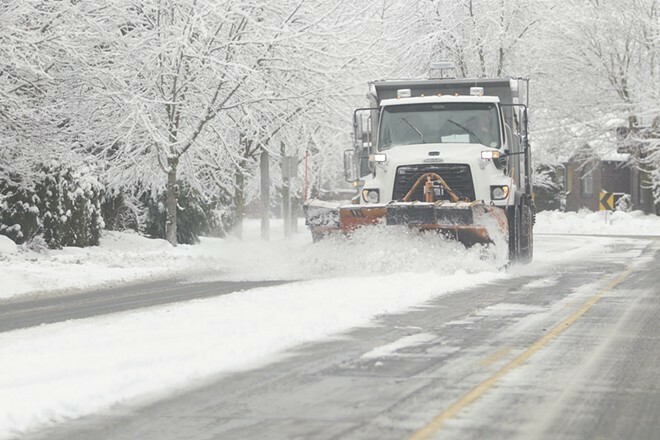 Snowplowing strategy is just one of the things Spokane is addressing with new focus on the city streets. A major effort to increase transparency regarding OFFICER MISCONDUCT in Spokane has been quietly dismantled. In the spring of 2016, Spokane police scrubbed its website of all the internal affairs investigations reports dating back several years. Recently, some of those reports were replaced with watered-down summaries. "They did this without coming to council, without coming to the community," City Councilman Breean Beggs says. "They just did it. I'm trying to figure out what the best policy is, and I think generally, more transparency is better." Beggs raised the issue during a recent Public Safety Committee meeting. Assistant Chief Justin Lundgren explained that the department had received complaints from officers and citizens that the investigations formerly posted to the website contained personal information. "We essentially wanted to move away from having names on the website," Lundgren said. "Sometimes the names, under law, aren't allowed to be redacted," Lundgren said. "So unless there's some sort of specific concern ... there's very narrow legal justification that we have to redact names." In other words, part of SPD's gripe is that they're not allowed to redact information that used to be easy to access on their website. The summaries currently available online only cover 2016. Chief Craig Meidl, in a later interview with the Inlander, says there are no plans to post summaries for investigations formerly on the site. "Right now, our level of transparency is limited by staffing," he says. Last Friday, the city's stretch of silence about what exactly was going on in the STREET DEPARTMENT was finally broken. At a press conference featuring interim Street Director Gary Kaesemeyer, Public Works & Utilities Division Director Scott Simmons, Mayor David Condon and Councilwoman Amber Waldref, the city laid out a recent flurry of ideas to address the gaping potholes that have cropped up on our streets. That includes trying out new materials — such as polymer bridge-decking material — to fill troublesome potholes; testing out a machine that blows water and debris out of the pothole before filling it with an emulsifier mix; and paying Inland Asphalt to start up their asphalt plant early this year, allowing the city to fill potholes with a more effective "hot mix." Meanwhile, at Monday's Public Works Committee meeting, Waldref introduced a resolution requesting that the council and city work together to re-examine the city's snowplowing strategy, including reducing the amount of time it takes to plow the entire city, and making it a priority to plow key areas — like schools, the downtown and medical facilities. If necessary, Waldref says, the council would consider increasing street department funding to improve snowplowing. Neighbors are rallying to help the owners of ROCKET MARKET defend their outdoor summer concert series after a group of people who live nearby filed a lawsuit to silence the music. Just days after the owners of the market, on Spokane's South Hill, learned about the suit to stop the twice-weekly summer concerts, supporters started a GoFundMe page to offset the market's legal fees. The people behind the suit claim that the market inflicts emotional distress on them, want to ban the business from hosting events that interfere with the use of their properties, and seek payment for "psychological treatment," the Spokesman-Review reports. As of Tuesday morning, the GoFundMe page had raised more than $6,000 of a $15,000 goal from more than 120 donors. Kate Rau, who started the campaign, lives three doors down from Rocket Market and says she loves to take friends to the concerts when they're in town. Rau says she can't hear the concerts when she's in her house.